Many people do not think of the .22 rimfire for personal protection. The main reason behind this is knock down power. With this in mind let’s take a look at why you may want to reconsider. Israeli Mossad, along with the mafia, used the .22 in target removal for many years. Mossad operatives used a semi-auto, could chamber a round, aim, and drop their target in around one second. Recently a Kentucky farmer killed a punk that broke into his home with one shot. The farmer was in his upper 80’s. I have killed a 300 pound hog with one well placed shot to the head. Size doesn’t always matter. It’s how you use it when talking fire arms. 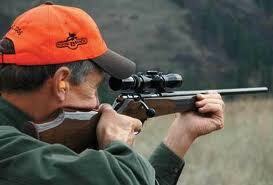 The following is a list of attributes for the .22 rimfire. One, cheap ammo = plenty of practice. Two, light ammo = more rounds per pound. Three, quieter ammo = less chance of drawing attention. Four, the bullets tend to ricochet and travel bone inside flesh and blood target. Five, the bullets break up when bouncing around all that bone = hard to trace back. At the very least, you may want to consider the .22 as a back up weapon.